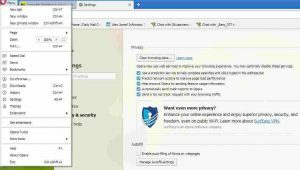 Opera web-browser with ad-blocker and free VPN - PC Buyer Beware! Free anything on the web usually means using captured web-browsing data for marketing purposes. At present, the free Virtual Private Network (VPN) that Opera provides is the company’s acquisition of the SurfEasy VPN. There is no indication so far that Opera is using it to spy on its users. 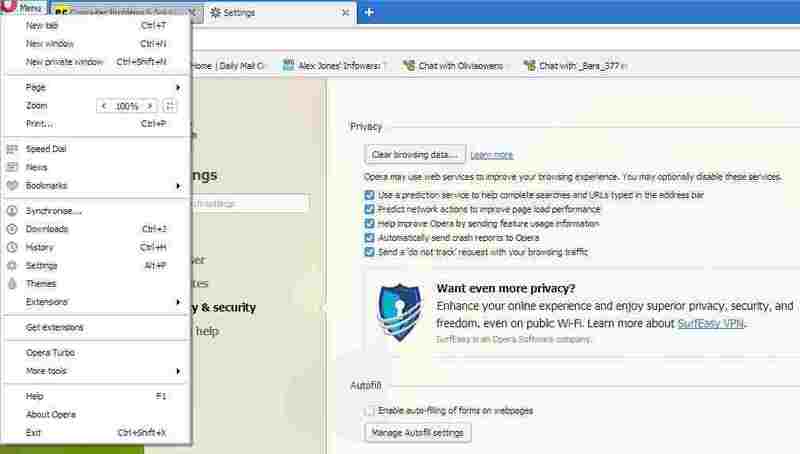 Opera is just adding VPN protection in order to gain users who want greater security from spying companies such as Google and Facebook. However, that may not always be the case. I will keep my eye on this and update this article if necessary. 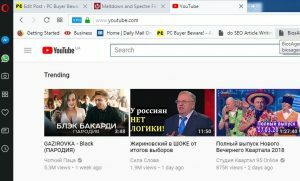 When I have the VPN in the Opera web browser enabled, Russian Google adverts appear on the websites I visit, such as my own site and on YouTube, shown in the image below. As you can see the letters VPN appear in the left-hand corner of Opera’s address bar and Google, which owns YouTube, takes me to the Russian version of the site. I have youtube.com written in the address bar, not YouTube UA. This is clearly done to make people think that the VPN is situated in Russia, which almost everyone knows has been given a bad reputation with regard to hacking. But when I used the speedtest.net site to test the speed of my broadband connection, the web server was found in Cologne, Germany, not Russia. This is more proof of the US establishment using Russia to scare people into doing what they want. In this case, Google is clearly trying to scare users off using a VPN because it has no idea how to identify the users’ locations because its computers tell it that they are in other countries. More proof that Google is a badass company. It was set up by funding from the CIA to harvest personal information worldwide. It’s the same with Facebook. The Settings menu, as shown in the image above, is easy to access. The settings themselves are mostly self explanatory. Just click on Menu in the top left-hand corner to bring the menu up. If you need explanations, click on the “Learn more” link that most of the settings provide. The Privacy & security settings are the most important. I recently tried using the Opera web browser because the Mozilla Firefox browser that I was using was so often “Not Responding”. This is now a browser that I like using and recommend. Of course, I have tried using it over the years, but I was never impressed enough to keep using it. Now it is my main browser. I don’t use anything by Google because it is all spyware, especially the Google Chrome web browser and Chromebook laptops. The setting for the ad-blocker must also be enabled because it is not enabled by default. Note that many sites that use advertising will refuse to function if an ad-blocker is in use. The image above shows the two settings for the free Virtual Private Network (VPN) that Opera uses if they are enabled. To access the Settings click on the button in the browser’s left-hand corner. I only enable “Enable VPN”. I don’t enable “Bypass VPN for default search engines”, because the search engines invade your web-browsing privacy. A VPN slows down access to sites a bit due to how it works, but the advantages are well worth the delay. The search engines can determine your location from your IP address and other information about you on the web. The VPN disguises your location by using its own IP addresses. And who really knows how else the search engines invade your privacy? 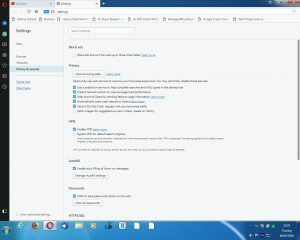 To find out which country the IP address that a VPN uses is in, you can use a speed test site, such as speedtest.net, which provides that information. 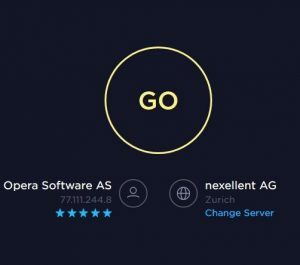 The image below shows that speedtest.net found the IP address – 77.111.244.8 – for my installation of Opera using its VPN, which is located in Zurich, Germany. When I use a web browser connected directly to my Internet Service Provider (ISP), the server has an IP address in Maidstone, Kent, England. 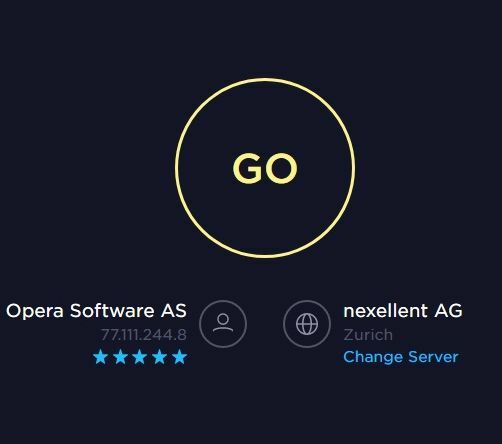 The IP address that Opera’s VPN uses is located in Zurich, Germany. Click on the image to view its full size. Strangely, the speed test always shows much slower results using Opera’s VPN than when using a browser that is not using a VPN. Using a normal web browser, my download speed was 21.02 Mbps (megabits per second) and my upload speed was 1.01 Mbps. The results using the Opera VPN were: download speed 1.81 Mbps – upload speed 0.83 Mbps. However, web access is definitely not 10 times slower. It no doubt is a little slower due to how a VPN works, but it is not noticeable in my experience. The VPN seems to work well. Using a gmail account made Google send me urgent messages that I had logged on from an unknown computer. Accessing YouTube the VPN makes the site access foreign content but without changing the usual way that I use it. Note that the VPN settings do not appear unless you are using Windows 7/8.1/10. The version of Opera for Windows XP and Windows Vista do not provide them. Google lives off spying on us and using the information to place ads across our path on the web. Even if you don’t use anything by Google, if you access a website running Google ads, its computer system reads your web-browsing history in order to do that. It is a privacy outrage as bad as if the Post Office were opening your mail, reading its contents and then sending you advertising leaflets based on those contents. Opera provides an ad-blocker and uses a free Virtual Private Network (VPN) to make it impossible for Google, Facebook, Twitter and the other social networks to discover your location.